Do you struggle to release the tensions of the day from your body, and find it difficult to get comfortable, endlessly tossing and turning and re-positioning yourself? Perhaps you struggle to quiet your mind and you find yourself thinking and talking to yourself in your mind. Or maybe you have just always had a problem getting to sleep which could be a combination of different factors? 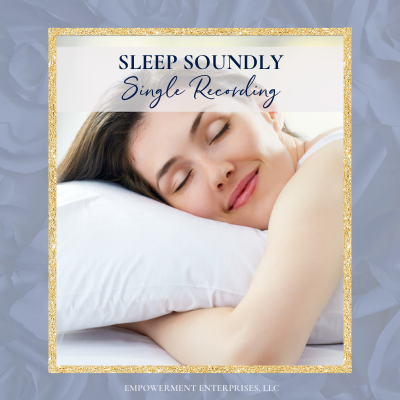 With Catalyst Hypnosis Center’s “Sleep Soundly” hypnosis MP3, you can restore your body’s natural sleep response and fall into a deep and peaceful sleep. Kerrilee Pietroski, M. Ed., C.H. has developed an effective hypnosis procedure to help people fall asleep, stay asleep and feel fully rested when they awaken in the morning. This unique hypnosis process utilizing binaural tones creates a theta state of peace and comfort that gently guides you into the deepest, most restful sleep you’ve ever experienced so you can awaken fully restored and refreshed the next day.